Publication: March 4th 2014 by Entangled: Teen. Seventeen-year-old Zayn has special powers she cannot control—powers that others fear and covet. Powers that cause the Templar Knights to burn Zayn’s mother at the stake for witchcraft. When a mysterious stranger tempts Zayn to become the first female member of the heretical Assassins, the chance to seek her revenge lures her in. 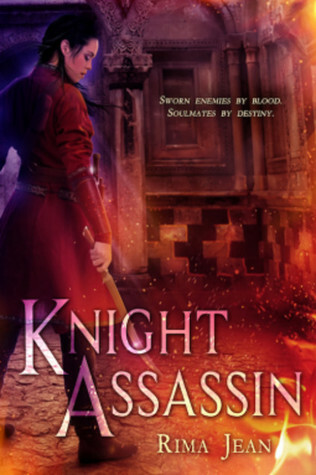 She trains to harness her supernatural strength and agility, and then enters the King of Jerusalem's court in disguise with the assignment to assassinate Guy de Molay, her mother’s condemner. But once there, she discovers Earic Goodwin, the childhood friend who still holds her heart, among the knights—and his ocean-blue eyes don’t miss a thing. Will vengeance be worth the life of the one love she has left? 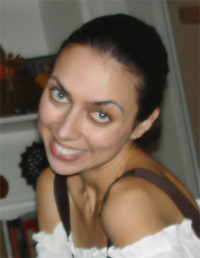 Rima Jean received a degree in archaeology from the University of Pennsylvania. After a dismal law school experience, she floundered a bit before accepting her calling: storytelling. She resides in Houston with her wonderful husband and two beautiful daughters, where she writes, edits, and dabbles in digital art. Great colors on the cover and song list! Thanks for the giveaway! Looking forward to reading it! Sounds like a thrilling, dramatic read!